The control of embryonic development during IVF treatment from fertilization to implantation is done with an assessment of the morphology and cell division once a day. For this evaluation, the embryo must be removed from the incubator each time for assessment. 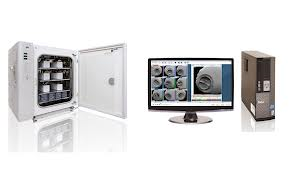 The monitoring system of embryos Primo Vision Time-Lapse gives us the opportunity to observe all embryos without disturbing them or change their daily routine (changes in pH, temperature or luminosity). Since it records what happens inside the incubator, one can objectively evaluate the development of the embryo, without removing it from the incubator, and transfer the embryo of better quality. What is achieved by caring more embryos is to increase the rate of implementation thereof, resulting in improved pregnancy rates and transferring fewer embryos to the uterus and to avoid multiple pregnancies. 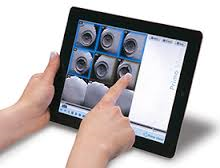 Primo Vision EVO allows us to analyse the images, giving us an accurate observation of the development of the embryo. From the formation of PN, through all stages of division, the blastocoel formation, arrival to blastocyst, and accurate identification of cytoplasmic fragmentation, vacuoles, multinucleation and patterns of division.